What makes Urgent 9 so different is that we have our own imaging center attached to our facility. We have the same imaging accreditation as your local hospitals, and in some cases we also have better equipment. 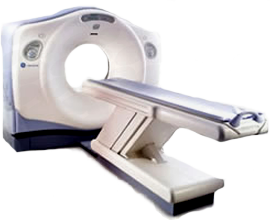 Our Glendale imaging center includes xray, ultrasound and CT scanning capabilities. Why did we choose these modalities? Because they are the diagnostic imaging services typically used in a traditional Emergency Room. Since Urgent 9 has its own imaging center, we can see over 85% of patients that would typically go to a traditional ER. For affordable medical imaging in Glendale, CA, it’s hard to beat the combination of cost and quality offered by Urgent 9. An X-ray is the most simplistic of imaging procedures, but its uses are no less instrumental to assessing damage sustained below the skin. X-ray is capable of creating high-quality photographs of bone structures, as well as other dense objects, to illustrate possible fractures, dislocations, and abnormal growths. X-rays can even identify the degeneration of bone tissue, such as in the case of osteoporosis. If you need x-rays in Glendale or the surrounding areas, consider making Urgent 9 your trusted imaging center. CT scans combine the radiative expertise of X-rays with cross-sectional technology, which allows physicians to view imagery of bone and soft tissues within the same photographic frame. CT machinery is able to starkly map the cardiovascular system, provide three-dimensional diagrams of organs, and pinpoint the location of possible abnormalities at any level of the body. Radiologists use CT scans to detect internal bleeding or fractures following physical trauma; locate infections, blood clots, and tumors; and monitor progressive diseases, such as cancer. With its lucrative usage of projected sound waves to capture live imagery feedback, Ultrasound is best known for its ability to monitor progress during pregnancy. Since the procedure uses no radiation whatsoever, it is considered to be the safest method for observing a fetus in the womb. However, An ultrasound’s potential expands well beyond this implementation. All imagery is recorded in real time, allowing professionals to observe the movement and rate of blood flow through vital organs, such as the heart and kidneys. During surgical procedures, ultrasound is often used as a means of providing a reliable visual guide for doctors. In addition to providing a comprehensive imaging center in Glendale CA, Urgent 9 guarantees swift medical attention and invites both walk-in visits and telephone consultations with healthcare professionals. We focus our services around quality care, affordable pricing, and excellent patient-physician relationships. Urgent 9 offers competitive technology — at twice the speed, and a fraction of the cost.